Come enjoy the gorgeous spectacle of Lake Tahoe’s golden sunsets from the best possible vantage point- on a guided kayak tour from the lake itself! Tahoe City Kayak offers daily Sunset Kayak Tours departing from Commons Beach in lovely Tahoe City. The 2-hour tour departs at 6:30 and lasts through the magical “Golden Hour” of the failing light, returning at 8:30PM. Guests can float along in their own Single Kayak or join up with a partner in one of our agile, smooth-paddling Tandem Kayaks. Come take in the Alpen Glow with one of our seasoned guides and get the most out of your evenings. Whether on vacation or just spending another day in paradise, give us a shout at (530) 581-4336 to book! 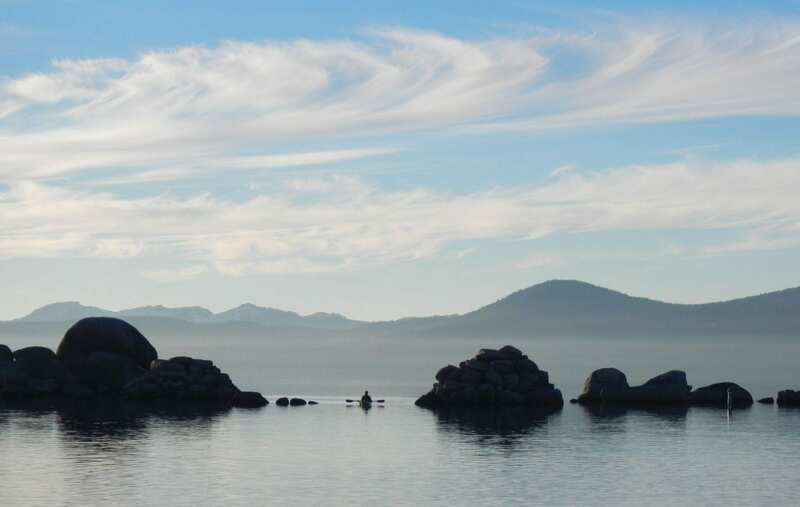 As always, Tahoe City Kayak offers rentals of Single Kayaks, Tandem Kayaks and Stand Up Paddleboards (SUP) at our locations in Sand Harbor State Park, as well as Commons Beach in Tahoe City. In Tahoe City? Stop in to our shop located at 521 N. Lake Blvd to inquire about the latest tour availabilities and to browse our impressive selection of watercraft from manufacturers such as: Hobie, Amundson, Perception, Wilderness Systems, Tahoe SUP, Pau Hana, Kraken and Eddyline.